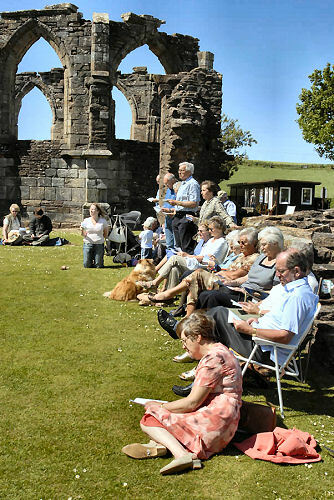 Maybole gala week got off to a great start with an ecumenical service at Crossraguel Abbey attended by members of all Maybole churches. 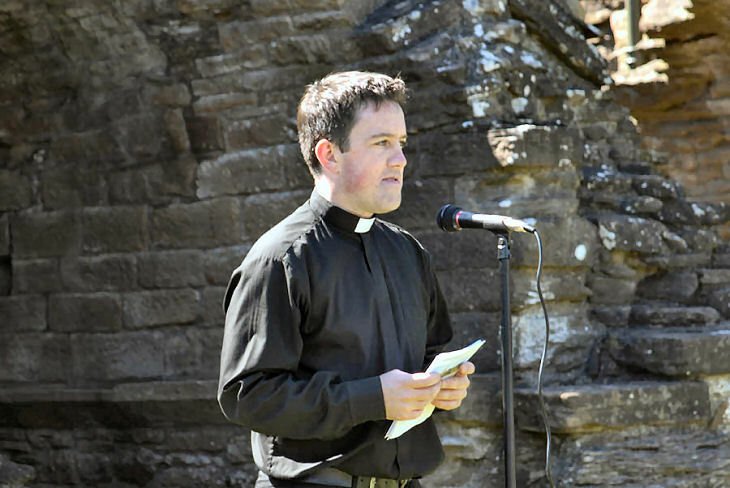 Fr Stephen McGrattan welcomed everyone on a day of brilliant sunshine. 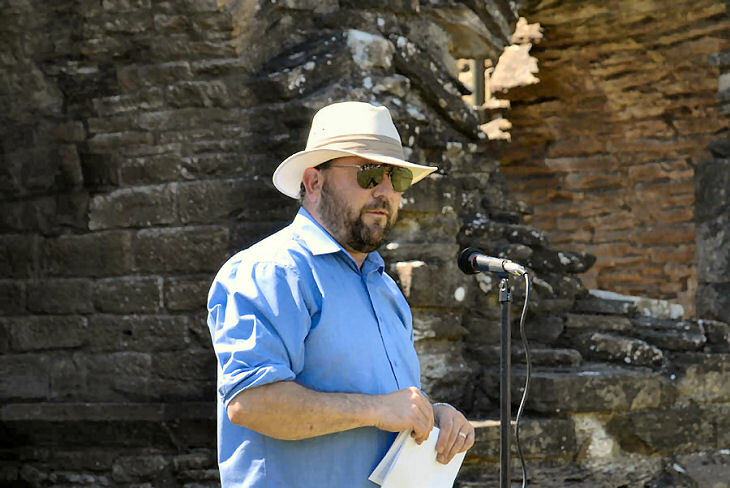 The event was organised by Maybole Council of Churches and other clergy who led parts of the service were Rev Dave Whiteman, Rev Bertie Collie, and Rev Douglas Moore. 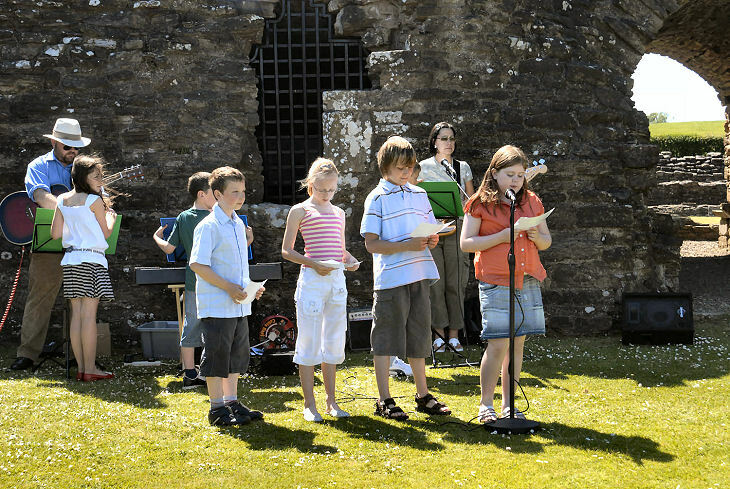 Hymns were introduced by representatives of the various churches. 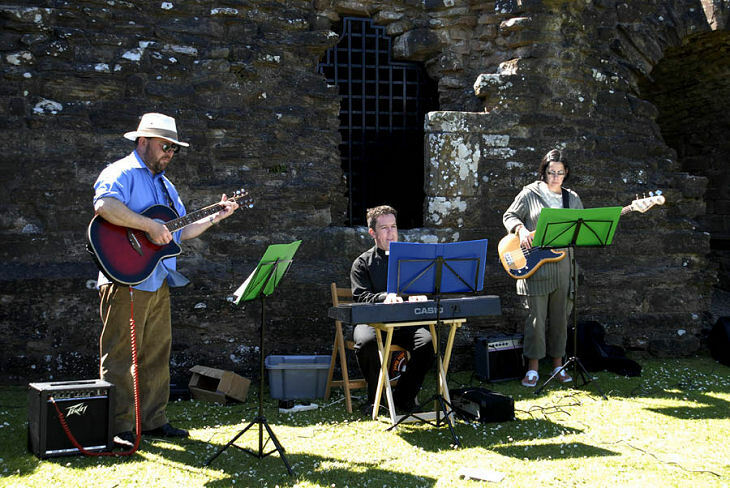 The music was provided by Fr McGrattan on keyboard, and Rev Whiteman and Donna McKay on guitars. Owen McDowall and Amy Strang, who will be crowned the new King and Queen of Carrick during the gala this coming Saturday, attended the service and were introduced by Rev Whiteman. Maybole Council of Churches would like to thank Historic Scotland, Maybole Community Association, the musicians, local police and other officials for their help and support in organising the service. 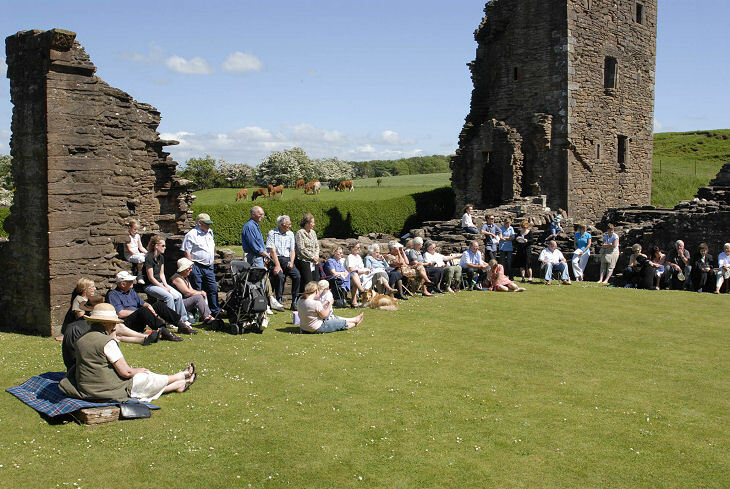 Crossraguel Abbey is not within the boundaries of the burgh but it has always been looked upon by the townspeople as belonging to Maybole, even if it is in the Parish of Kirkoswald. The meaning of the name cannot be given with any certainty but most agree it means the Abbey of the Royal, or Regal, Cross. 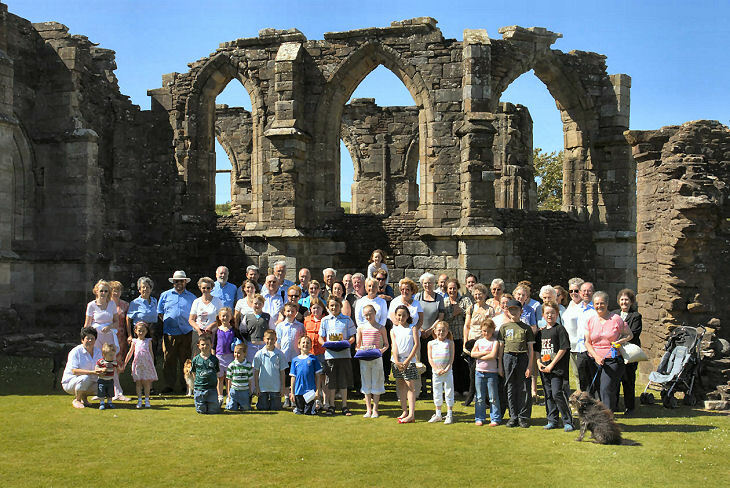 The abbey was founded by Duncan, Earl of Carrick, in 1244, in an age when many other monasteries were being built throughout Scotland. Duncan gave land and money to the monks of Paisley Abbey and asked them to build the monastery but they only erected a small chapel in the first instance and held on to quite a considerable balance of cash, which rather displeased the Earl. He went to law on the matter and the Bishop of Glasgow, who was appointed arbiter, found in his favour and ordained that the Paisley monks should build a proper monastery and that monks should be sent from Paisley Abbey to run it.